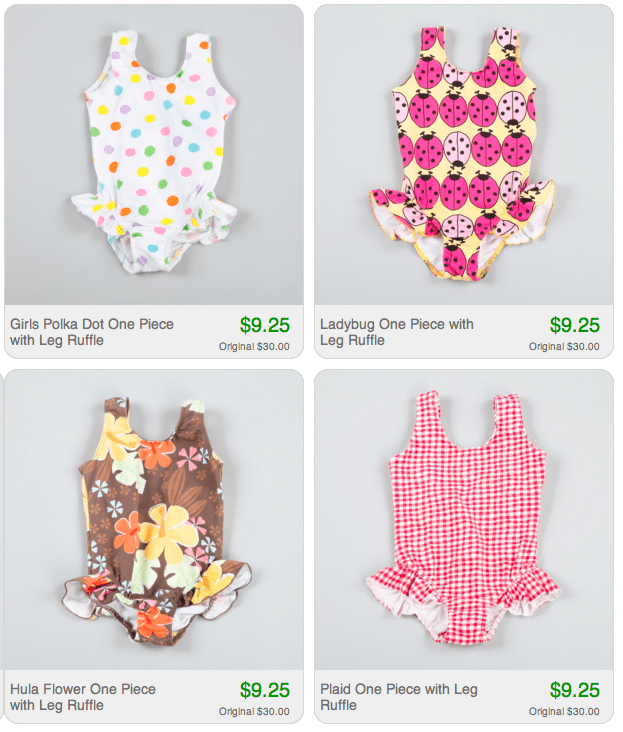 Lady and the Blog → Living → Product Reviews → For Mom → ADORABLE Girl Bathing Suits For Under $10! 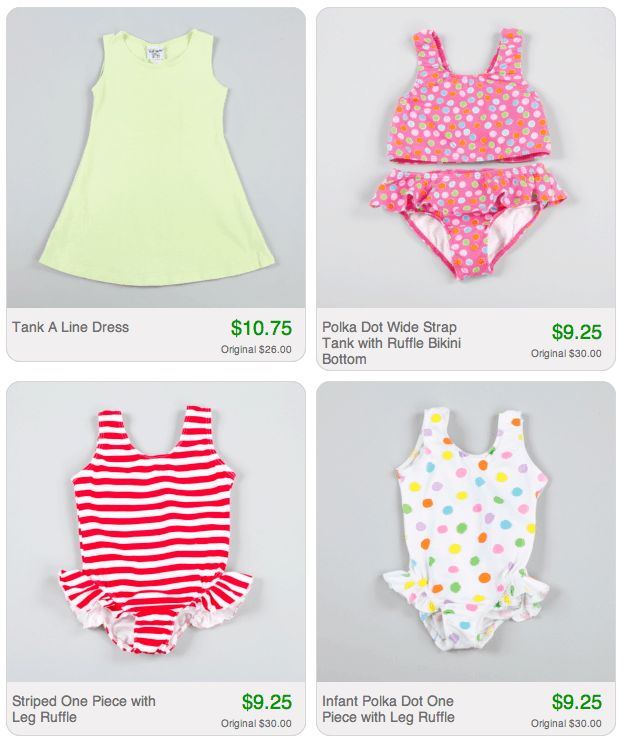 ADORABLE Girl Bathing Suits For Under $10! STOP IT!! These girl bathing suits are just too cute! The ruffles are just darling and the price is right! Click here to visit the Totsy flash sale and see all of the available styles.